Your staff are always on the move, so we understand the need to communicate with them quickly, reliably and efficiently. That’s why our nurse call system integrates with your phone system to provide a unified communication platform. 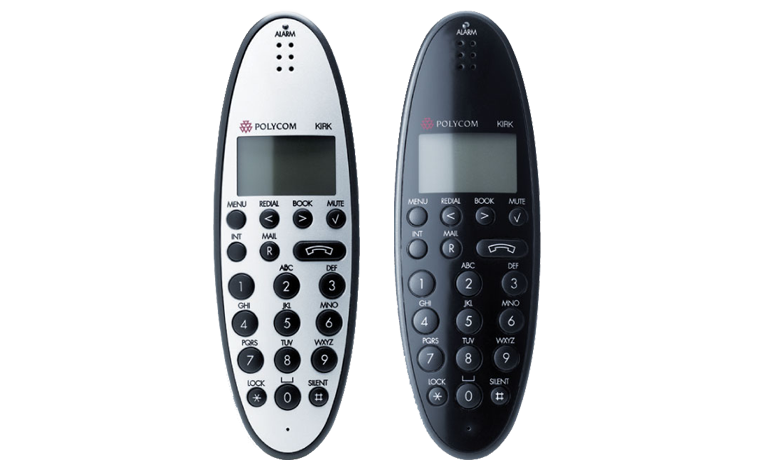 Digitally enhanced cordless telephones (DECT) provides text alerts similar to alphanumeric pages, two way voice communication both internally amongst staff and externally, PC text messaging to handsets and staff attack buttons on all handsets. The 2 way speech capability greatly enhances efficiency in all aspects of communications; staff are empowered to coordinate activities and can always be contacted no matter where they are within the site. The staff attack buttons will alert all other staff that with DECT phones who has activated the alarm and the zone they are located in. The PC text messaging allows staff to send custom messages to selected staff when required (eg staff meeting at 16:00 today). Additional advanced features are possible on per site basis. The DECT solution can directly connect to your existing phone system or to a new system from Aid Call. Compatible with CP5000 only. The nature of your business means that staff are always on the move, so being able to communicate with them quickly, allows you to reduce costs and improve service. By using an Aid Call integrated phone system and professional cordless phones you can speak to staff, send out group messages, as well as provide external communications. The benefits of this are numerous and the business payback is dramatic. The Aid Call integrated communications solutions directly interact with the nurse call system allowing staff to be alerted to almost any nurse call system event. Staff can then use the internal communication system to co-ordinate, resource and plan, allowing you to provide the highest level of response and service to your customers. Because all Aid Call communications systems connect to your outside lines, inbound and outbound calls can be handled promptly and efficiently. The first impression people have of your business is often via a phone call and in today’s fast moving world people expect fast responses. An Aid Call communication system can provide this, ensuring each call is answered, tracked and even recorded. Since Aid Call provides all these communication services, you only have one call to make to ensure your systems are working well. We’ve all heard the stories of customers being passed between two providers; each blaming the other when something goes wrong. By using Aid Call for all your nurse call and communication needs you have one company to call and one service contract to maintain, saving you money and time. Our communication systems scale from the small to the large multi-site care environments and offer exceptional industry value for money. All the features are built into the system already so enabling a feature won’t cost you anything extra. For example, where most other companies charge for voicemail, all our systems come with this built in, and we can even deliver voicemails to email at no extra cost. There are no messy additional boxes to add to the system and it all integrates seamlessly and reliably, providing you with the best communication system in the industry. We understand the need to communicate with your staff quickly, reliably and efficiently. Our Touchsafe Pro wireless Nurse Call system integrates with your telephone system to provide a unified communication platform. Contemporary product design, suitable for all living environments. The DECT solution can directly connect to your existing phone system or to a new system from Aid Call.